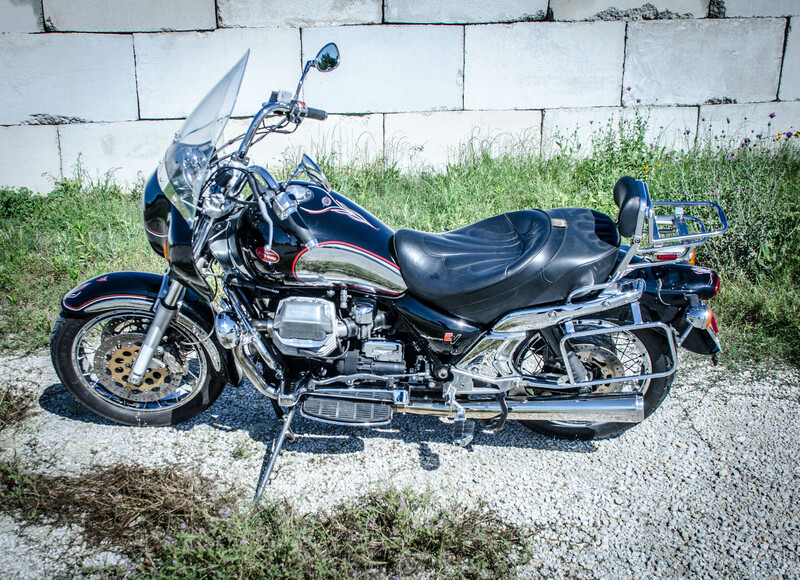 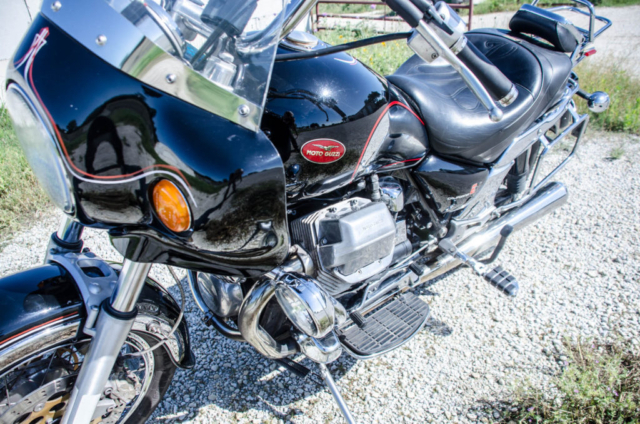 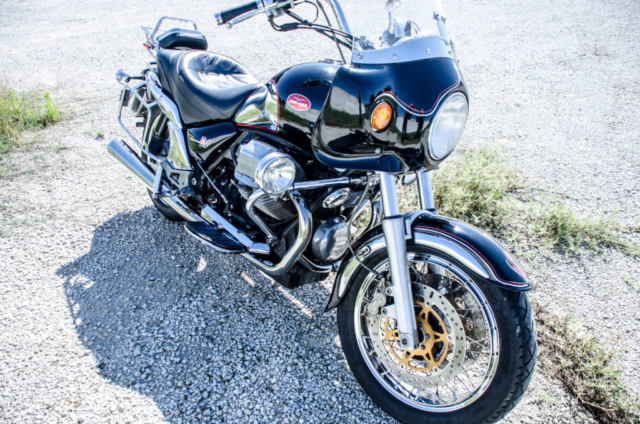 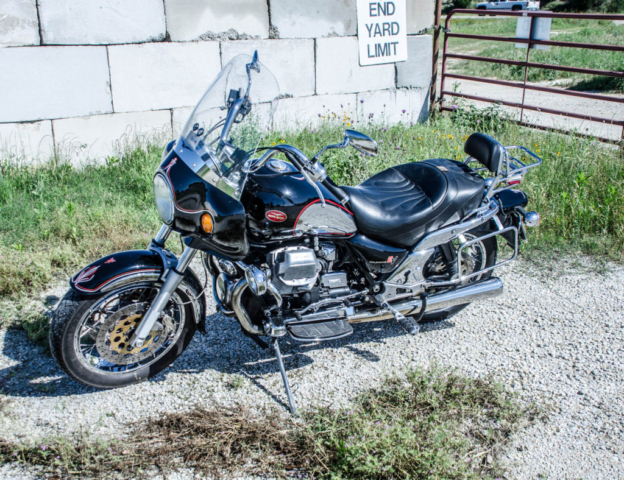 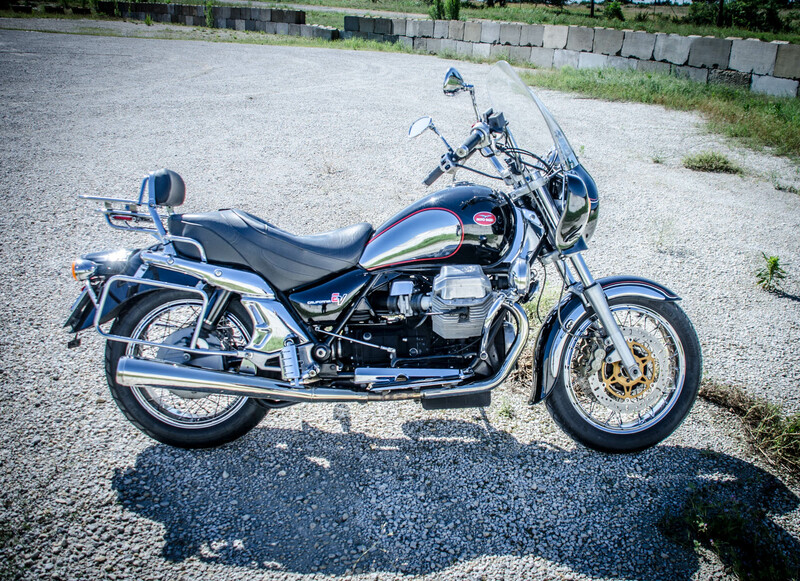 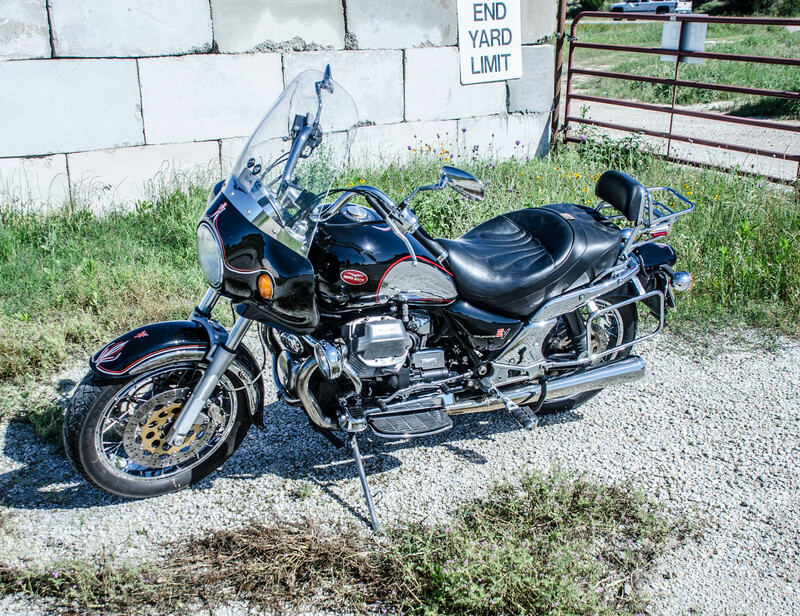 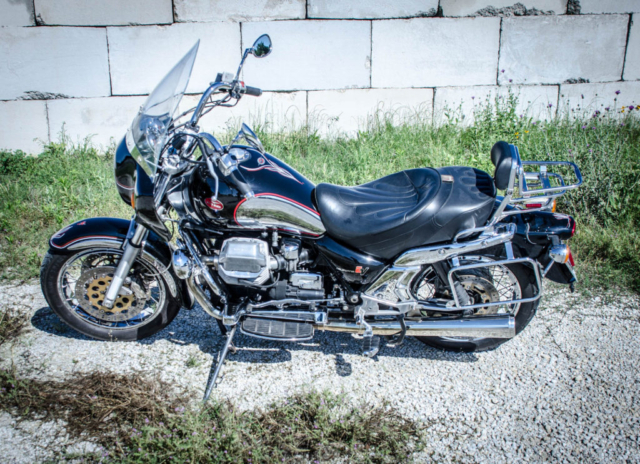 The Guzzi was the first true road bike I owned. 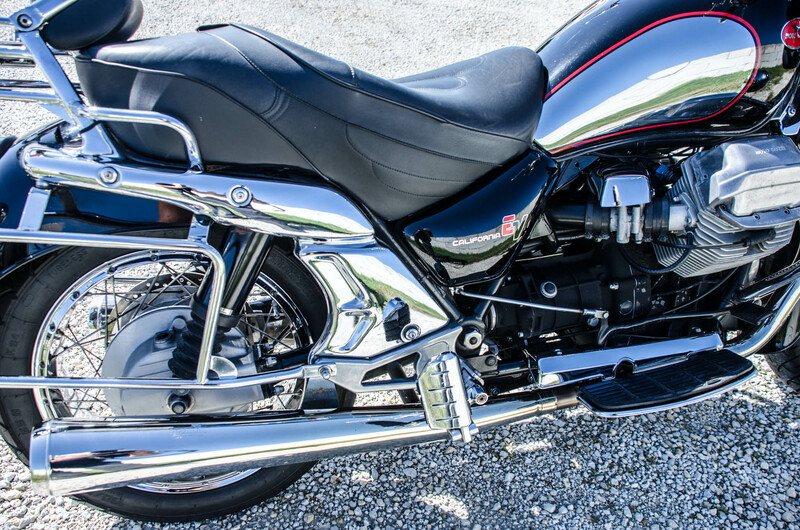 I found the trademark 90 degree transverse V-Twin and shaft drive to be both intriguing and compelling. These bikes are available at astounding low cost, and I found my almost like-new version from a somewhat unscrupulous dealer from Florida. Save from a replacement front disk rotor and new tires, the Guzzi served me well without further attention, and I rode it on several extended, multi-day, mostly solo trips. 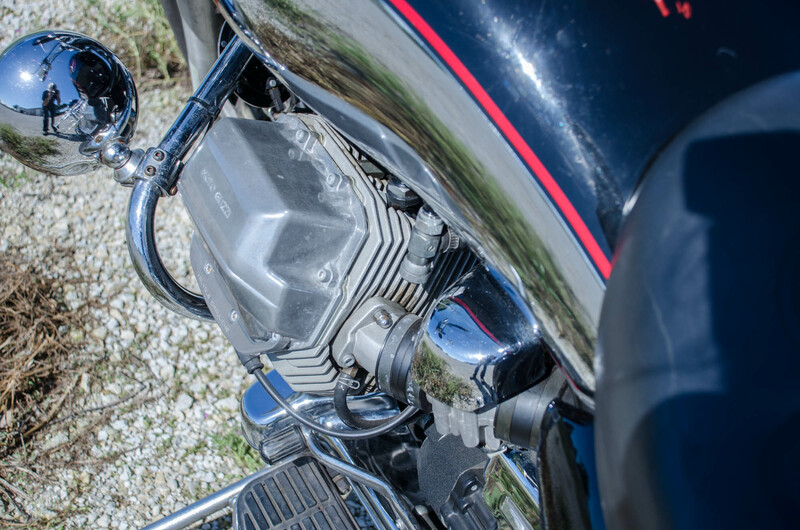 The 90 degree configuration is the optimum balance setup for a twin, affording near vibration-less operation, in stark contrast to the trademark 45 degree Harley-Davidsons, a configuration that contributes to the signature “pocketa.. pocketa.. pocketa” sound so endearing to Harley riders, but the uneven firing also creating what has to be the most vibration prone design ever conceived. Don’t believe me? 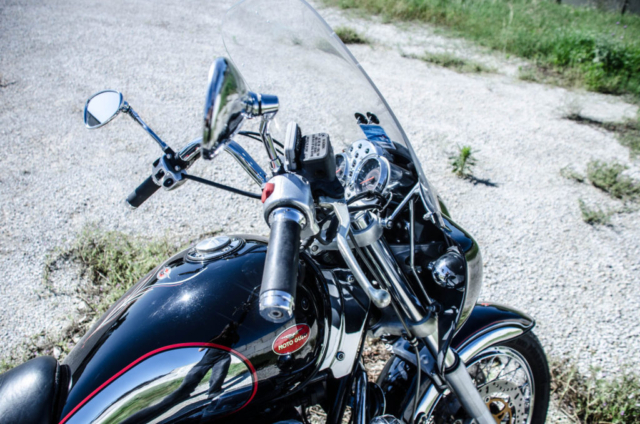 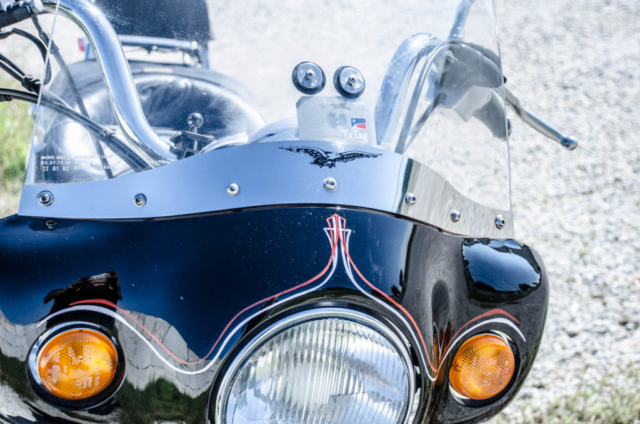 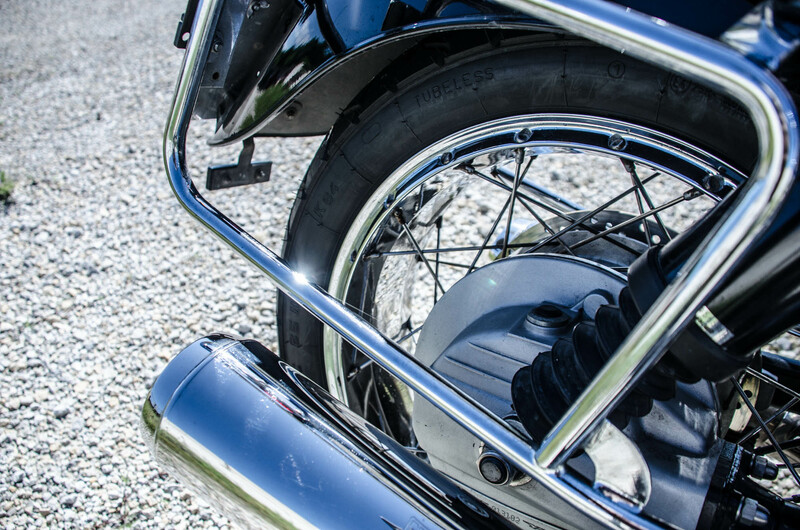 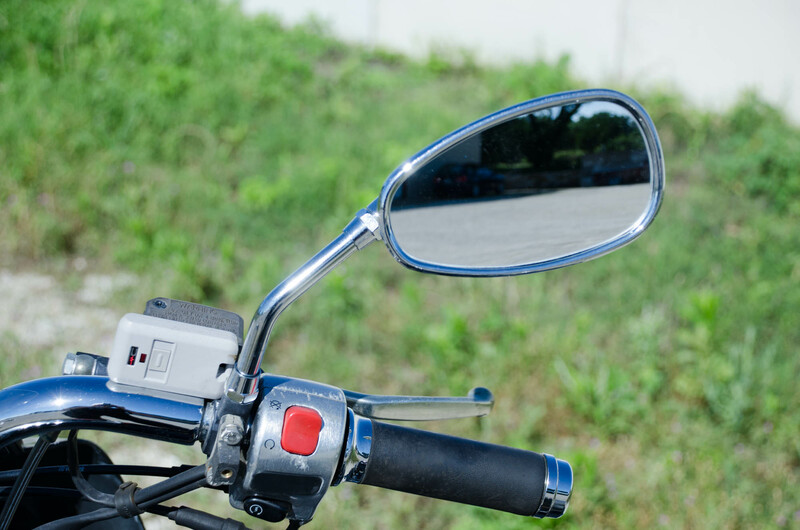 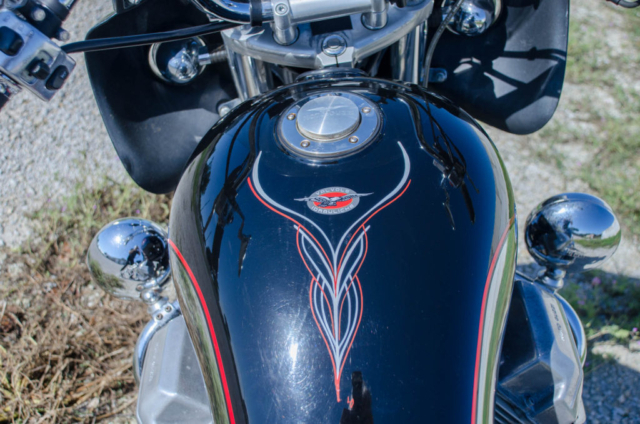 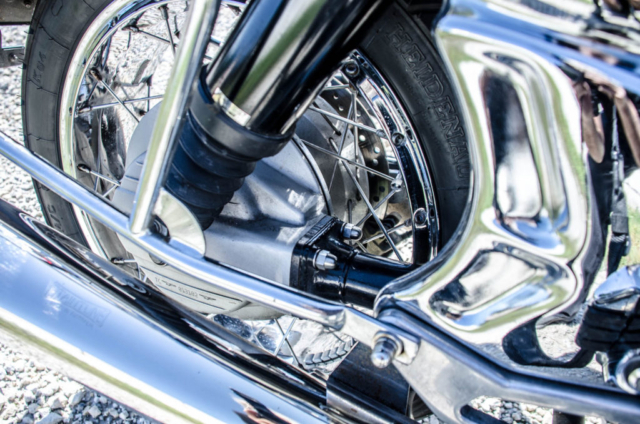 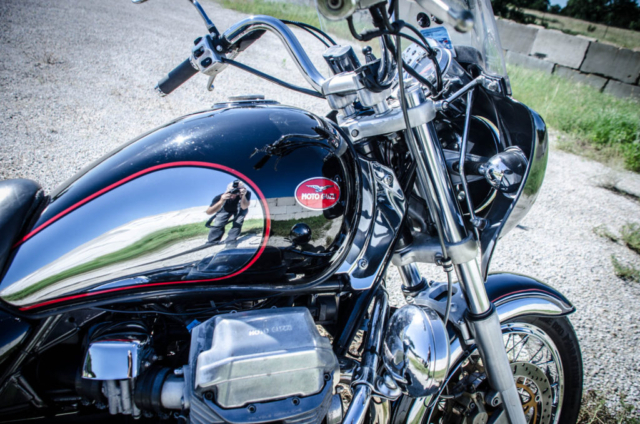 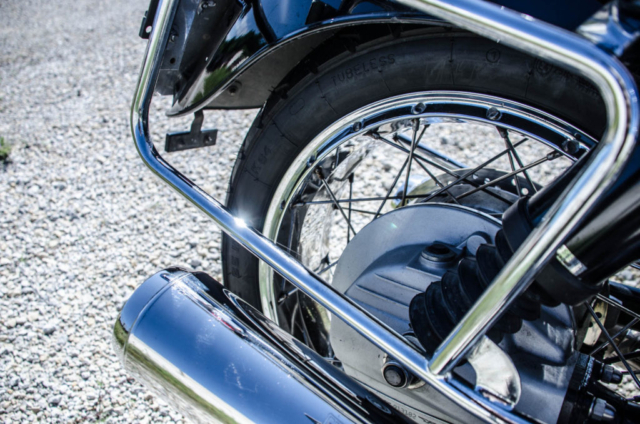 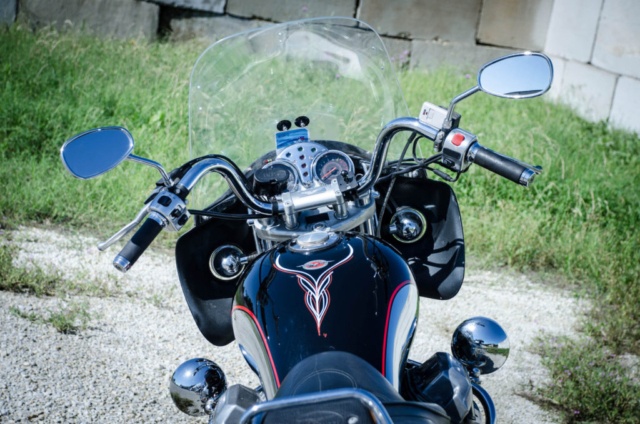 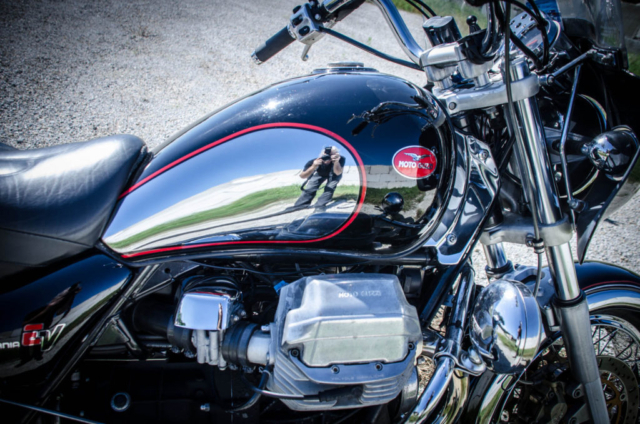 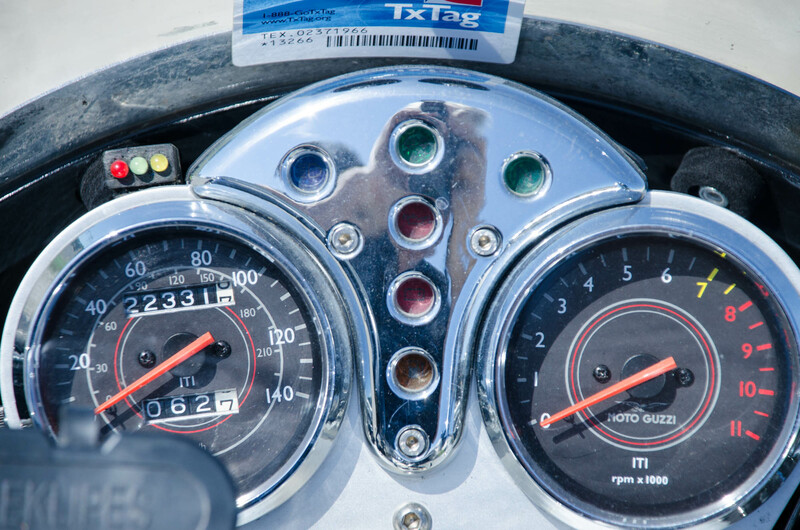 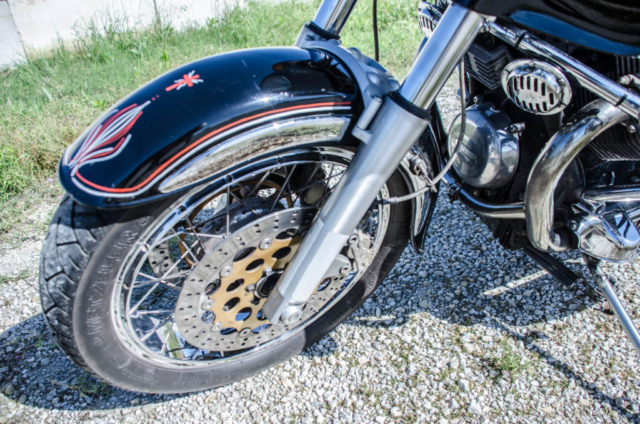 Just take a look at any Harley rider idling at a stop light.. you’ll certainly notice mirrors, horns, license plates, and anything else not welded to the frame all doing their little individual dances! 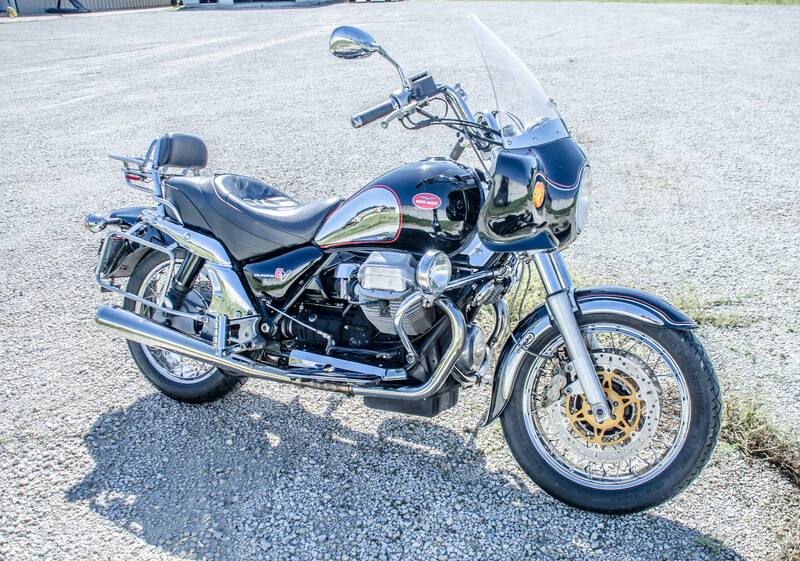 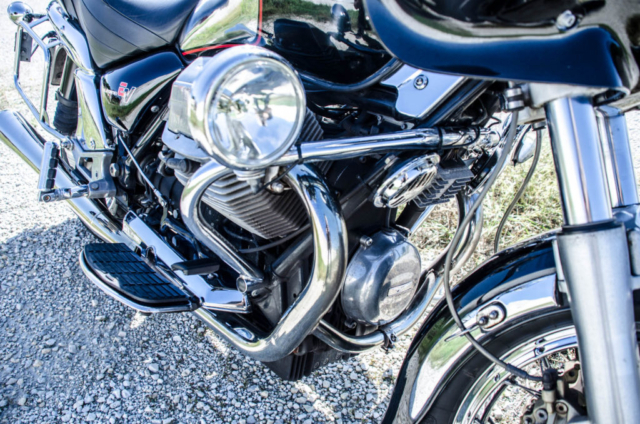 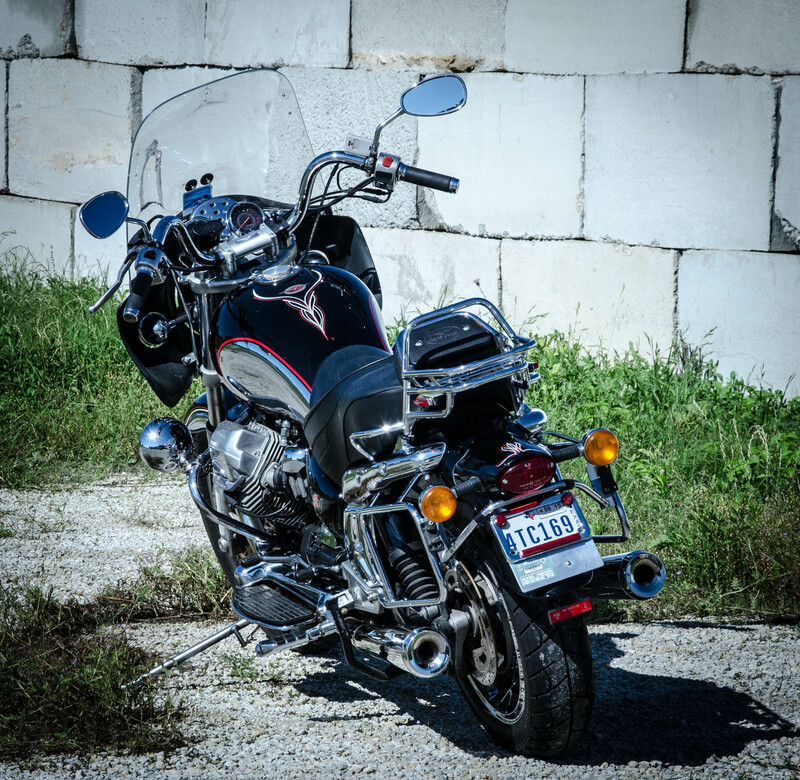 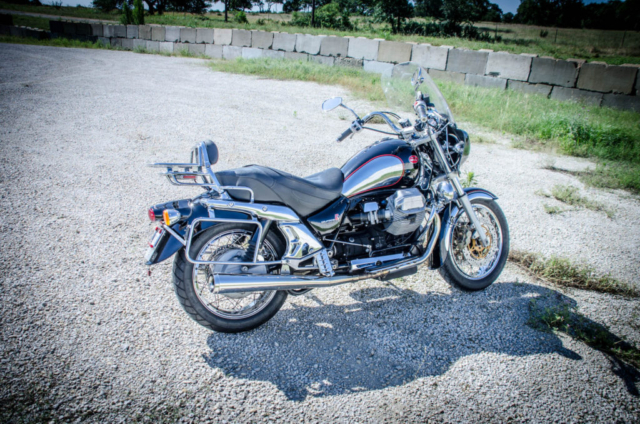 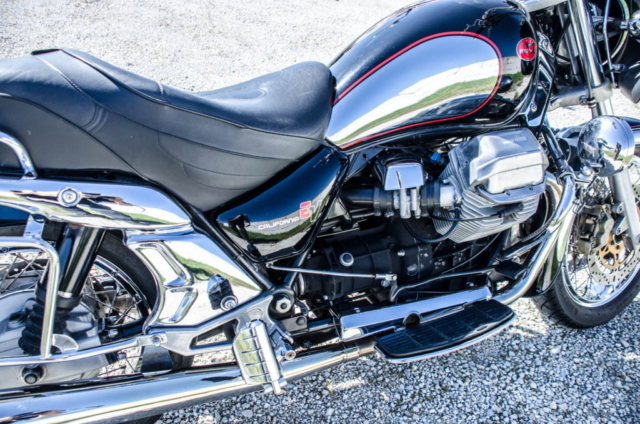 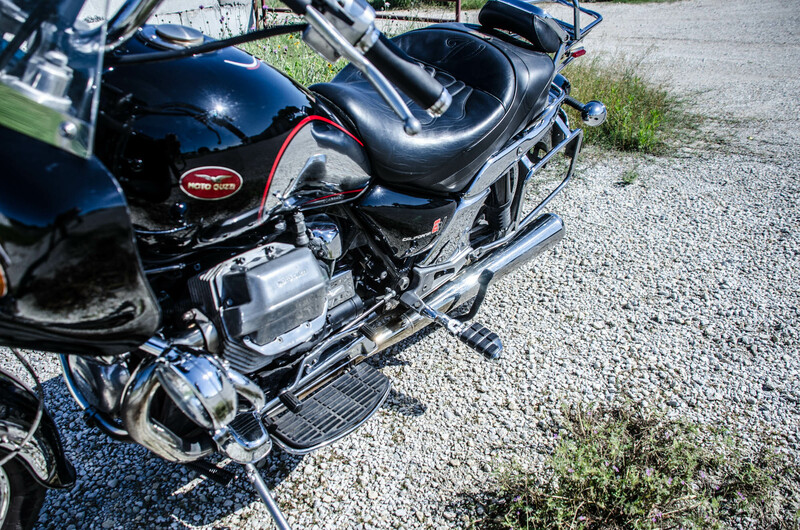 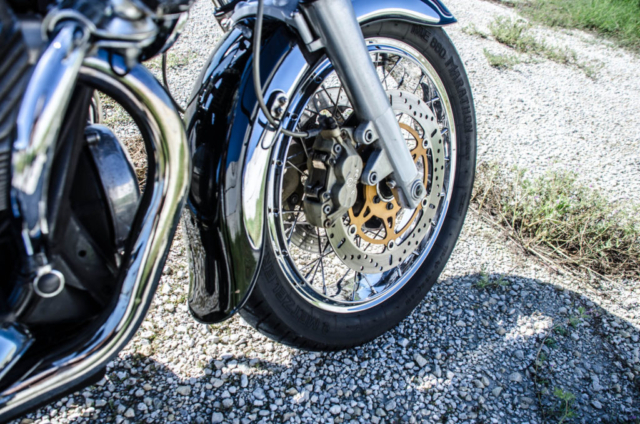 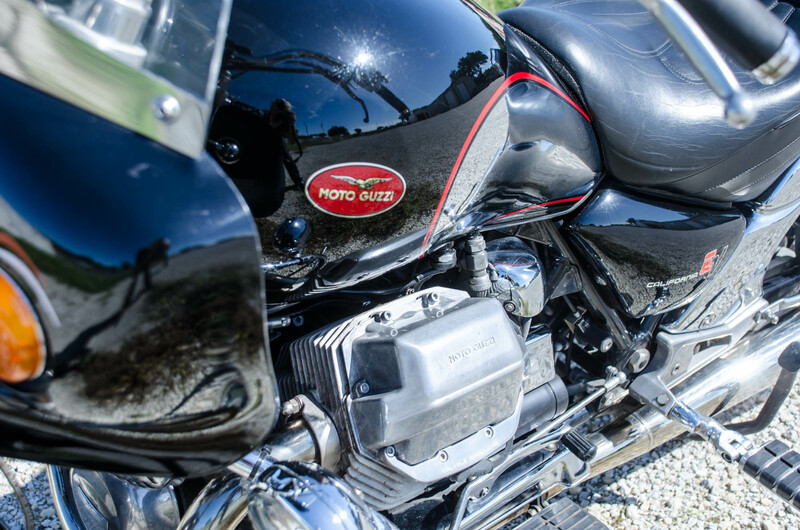 The Guzzi had buckets of torque as well, and with a respectable 74 horsepower from its 1100 cc engine, while no industry leader, need not apologize for itself. The transversely mounted engine of course exhibits the same sort of torque roll one experiences in the BMW horizontal twins when blipping the throttle, but it is more of an endearing trait than an annoyance. The bike looks great, accelerates, brakes, and handles as a proper “modern” bike should. 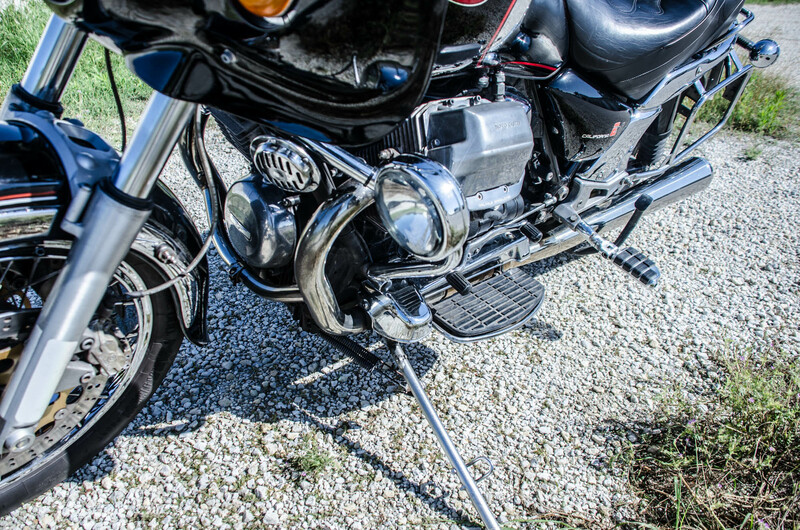 Fuel injection (yes, EVEN Italian fuel injection) makes for smooth starting and economical operation. 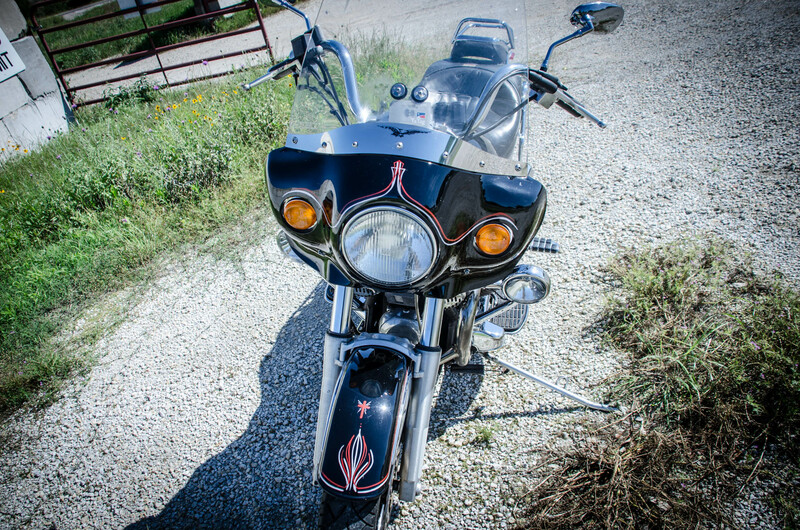 Unfortunately, once I laid eyes on the new Indians (see separate entry), that was all I could think about.. So… once the Indian joined the garage, it seemed pointless to have a second road bike, so the Guzzi went on the market, and was purchased by a New Zealander who came up with his girl friend to ride the bike to Sturgis. 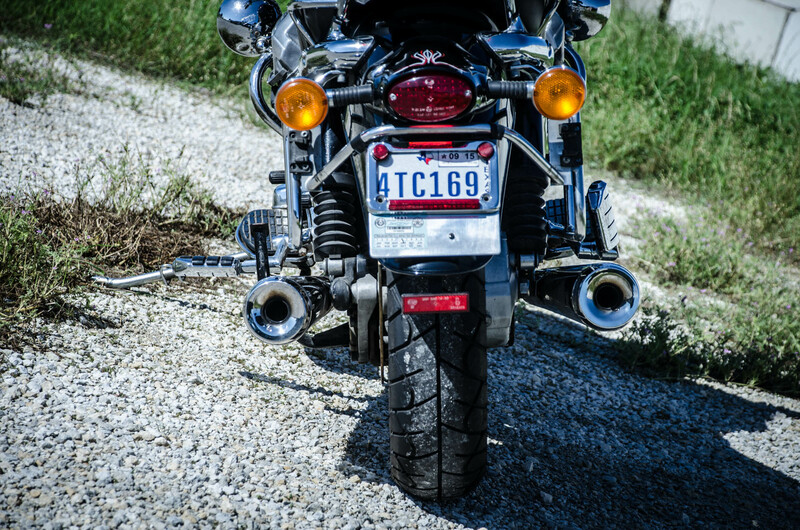 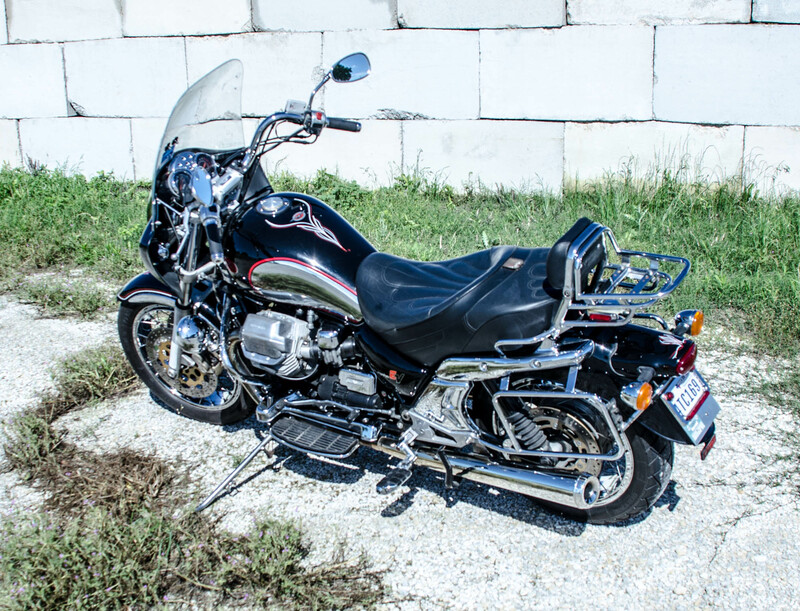 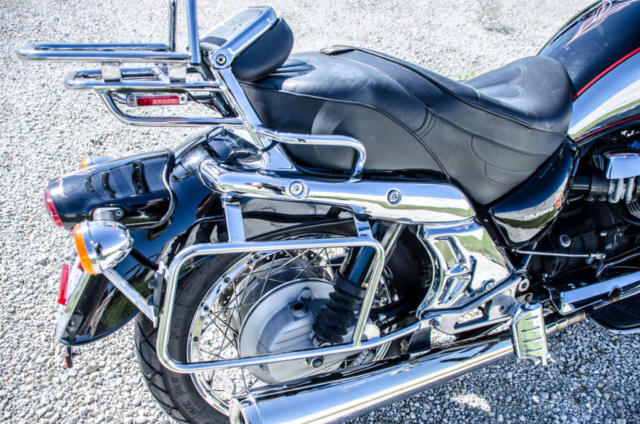 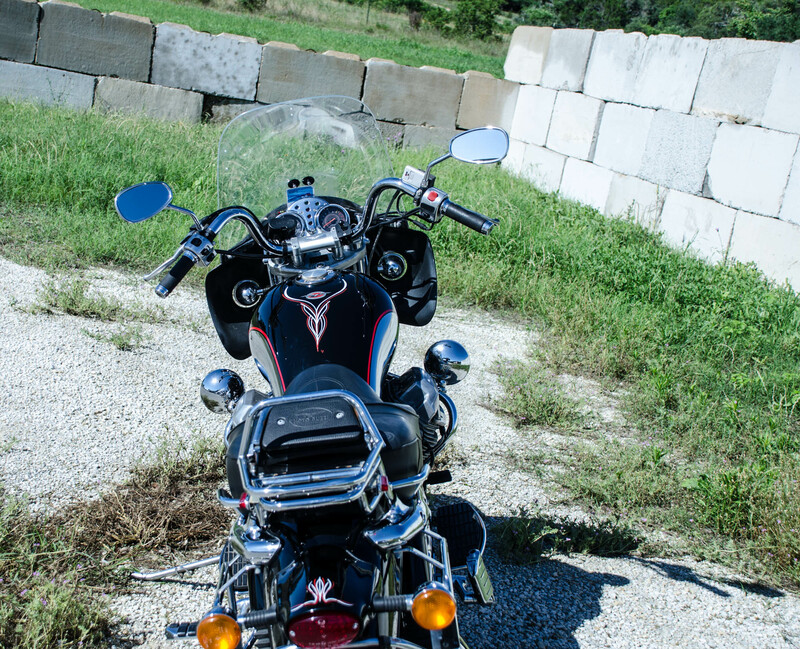 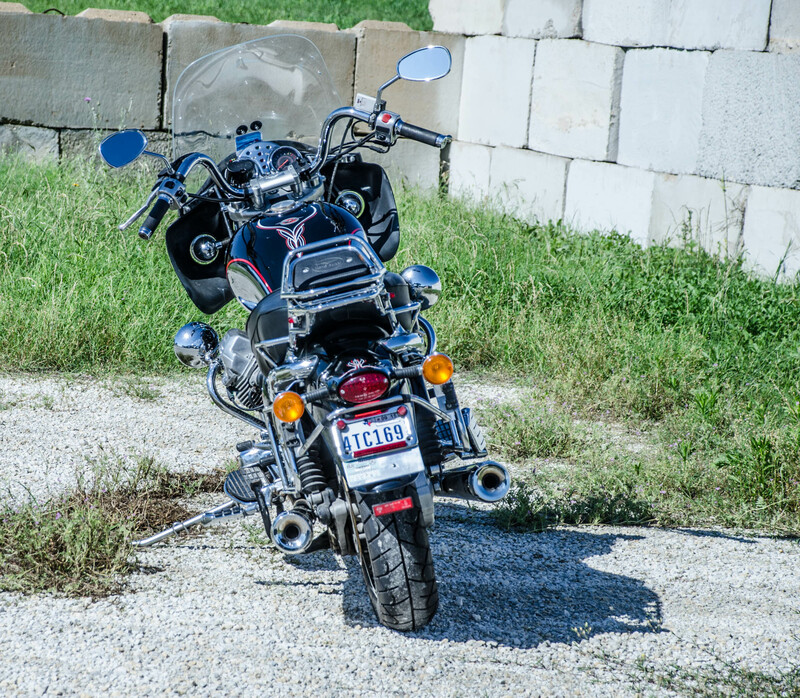 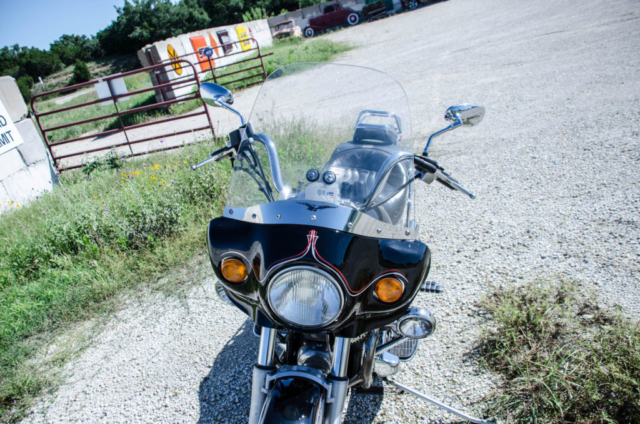 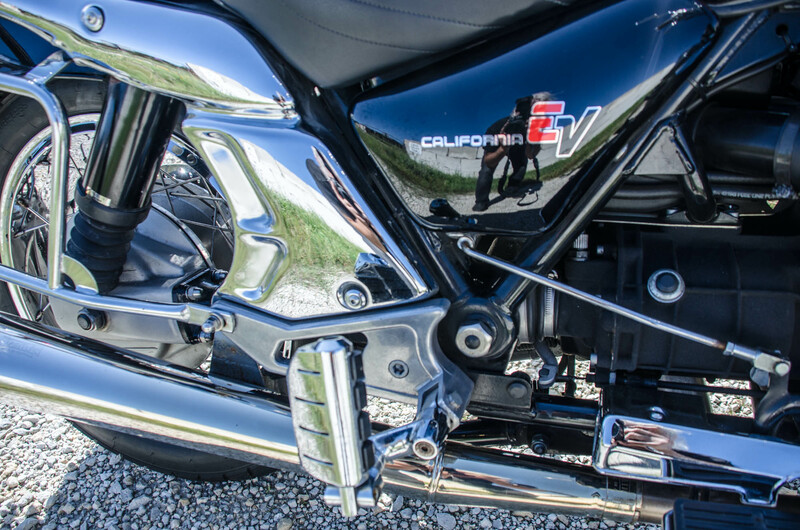 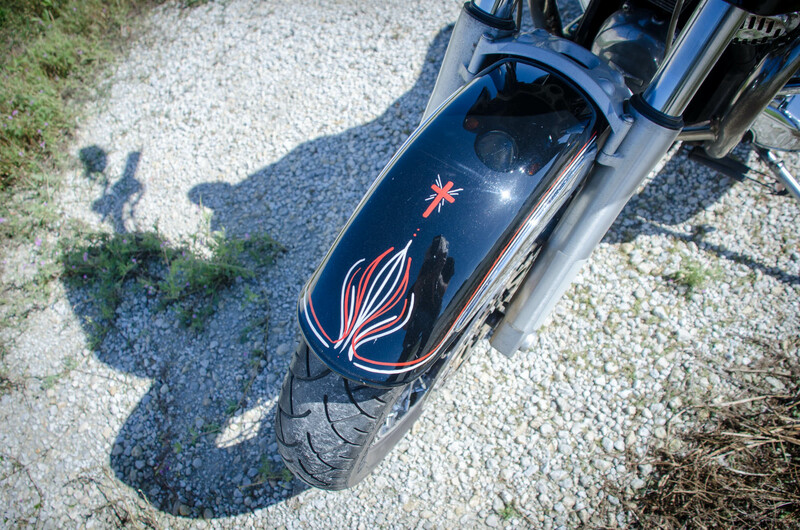 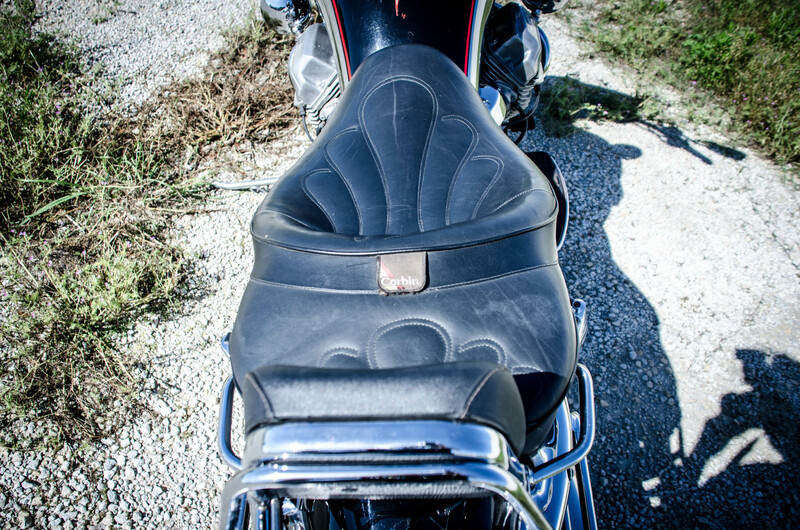 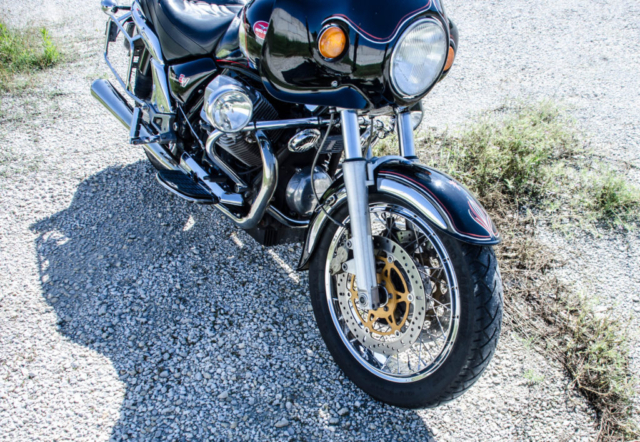 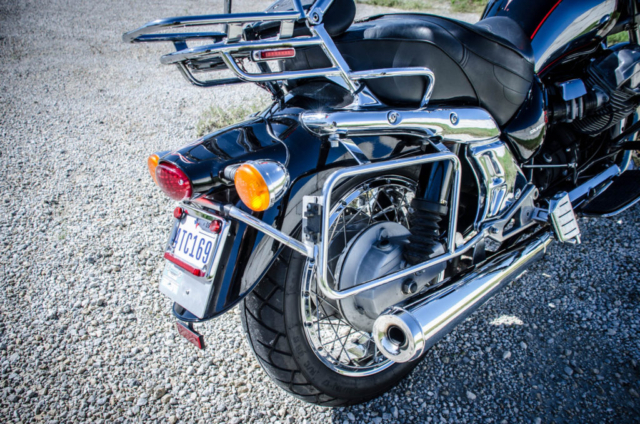 Sadly, the new rider was involved in a tragic accident on the way to Sturgis, killing himself, and seriously injuring his passenger (as well as the bike, of course). 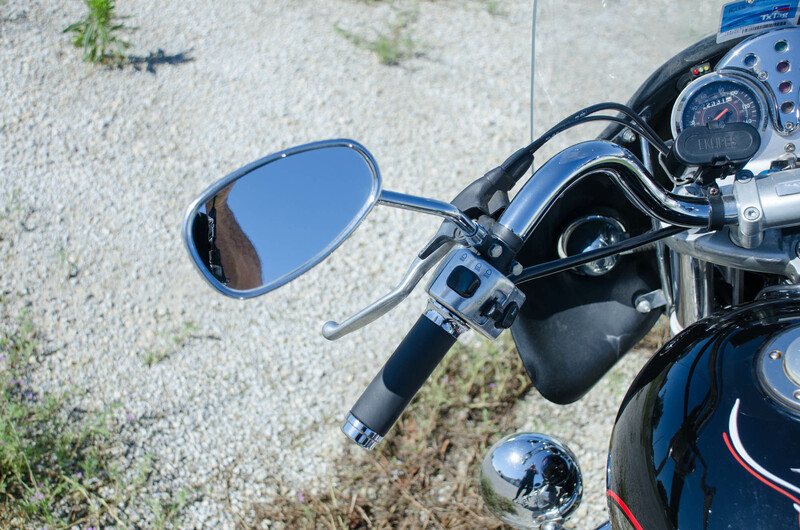 It’s a dangerous world out there!